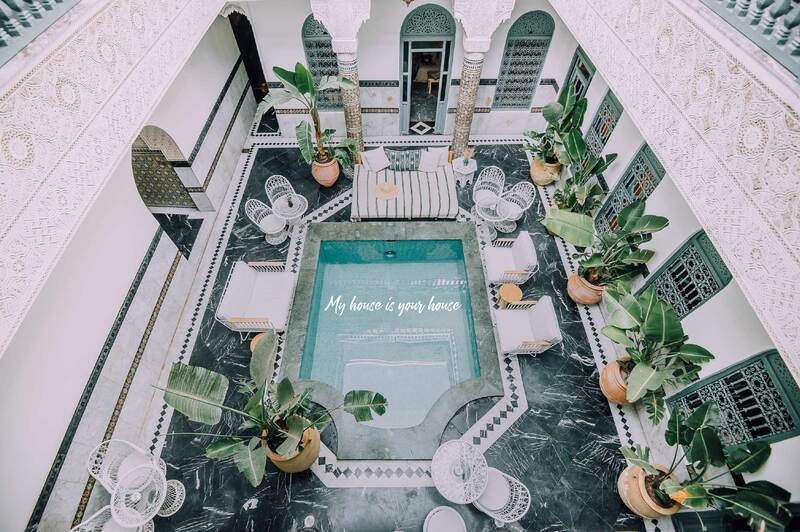 Ksar Kasbah & Spa, old private palace transformed into a guesthouse, is ideally located in the old city just a stone’s throw from the main attractions. Just walk through the door to be immediately transported in a peaceful atmosphere, far from the hustle and bustle of the city.The calm is hardly believable as soon as you push the door. Everything is serene in the patio including a central pool, ideal to cool off. A timeless venue that has a real soul and whose only vocation is to offers his guests a delighted break. 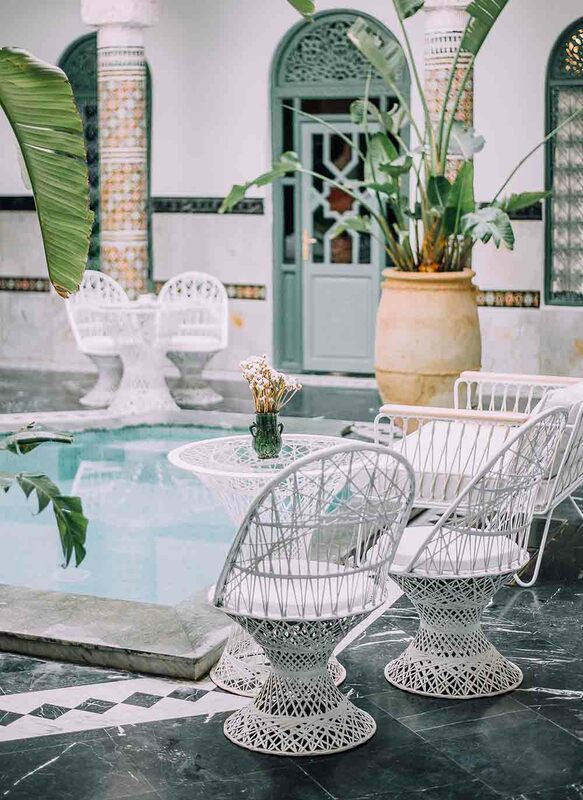 The riad, thought as a holiday home, contained 11 rooms and suites furnished in a pure bohemian style. We play on natural materials and sober colors for a peaceful atmosphere. Berber carpets and tuareg mats picked up from the local flea market side by side with rattan seats, mirrors and lanterns tailor-made by the finests craftsmens. All our rooms are decorated with a unique touch, specially for you. Televisions are deliberately not available in the house to encourage you to chill, to connect with people, to read and take time for you. 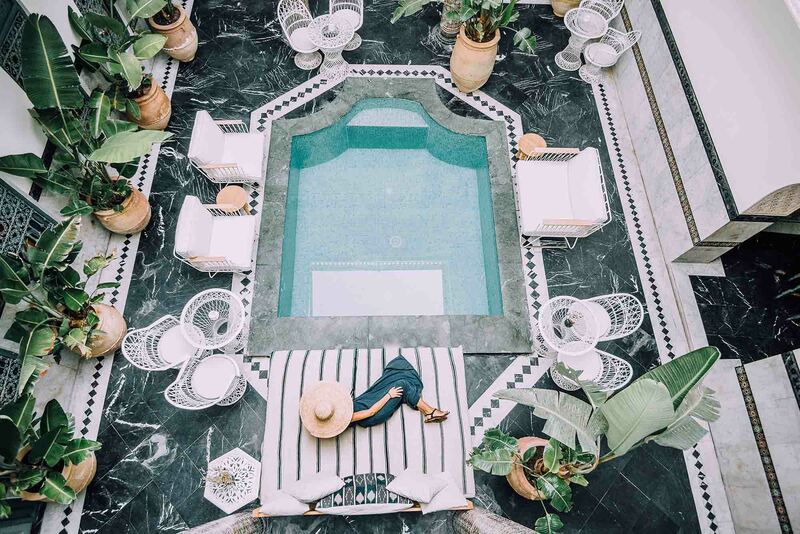 Ksar Kasbah & Spa combines modern design with artisanal traditions and local crafstmanship. An intimate guesthouse with all the amenities and the services of a hotel. Take your time, Feel at home, enjoy life, be inspired surrounded by our caring team. Your well-being is their only concern. 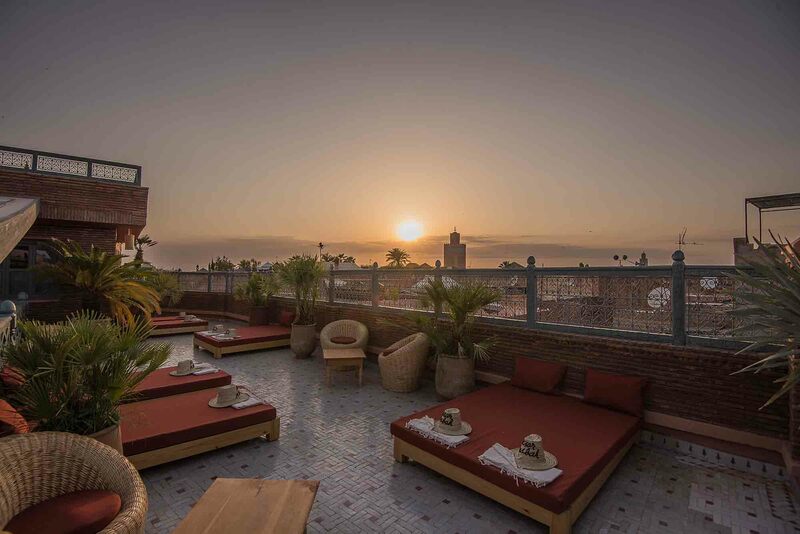 Live on moroccan time, enjoy the moment and admire the magic shades of the sunset on the terrace which has an amazing view on the medina and Atlas mountains. Relaxation and disconnection are the watchwords of Ksar Kasbah. Slow down and enjoy the sun on our beldi terrace. With more than 330 days of sunshine a year in Marrakech, it’s good to laze on the sunbeds. After chilling under the pergola, go to the spa to test the famous traditionnal hammam.